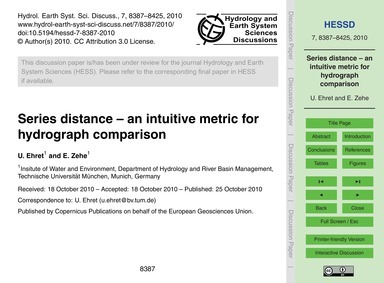 Description: Environmental Geosciences, University of Basel, Basel, Switzerland. 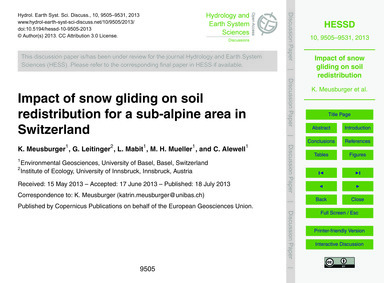 The aim of this study is to assess the importance of snow gliding as soil erosion agent for four different land use/land cover types in a sub-alpine area in Switzerland. The 14 investigated sites are located close to the valley bottom at approximately 1500 m a.s.l., while the elevation of the surrounding mountain ranges is about 2500 m a.s.l. 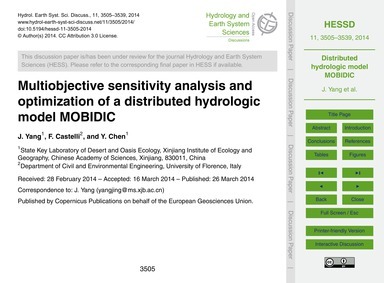 We used two different approaches to estimate soil erosion rates: the fallout radionuclide 137Cs and the Revised Universal Soil Loss Equation (RUSLE). 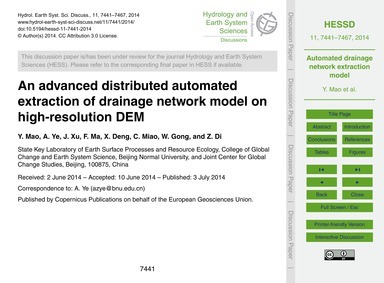 The RUSLE model is suitable to estimate soil loss by water erosion, while the 137Cs method integrates soil loss due to all erosion agents involved. Thus, we hypothesise that the soil erosion rates determined with the 137Cs method are higher and that the observed discrepancy between the erosion rate of RUSLE and the 137Cs method is related to snow gliding. Cumulative snow glide distance was measured for the sites in the winter 2009/2010 and modelled for the surrounding area with the Spatial Snow Glide Model (SSGM). Measured snow glide distance range from 0 to 189 cm with lower values for the north exposed slopes. We observed a reduction of snow glide distance with increasing surface roughness of the vegetation, which is an important information with respect to conservation planning and expected land use changes in the Alps. Our hypothesis was confirmed, the difference of RUSLE and 137Cs erosion rates was correlated to the measured snow glide distance (R2 = 0.73; p < 0.005). A high difference (lower proportion of water erosion compared to total net erosion) was observed for high snow glide rates and vice versa. The SSGM reproduced the relative difference of the measured snow glide values between different land use/land cover types. The resulting map highlights the relevance of snow gliding for large parts of the investigated area. 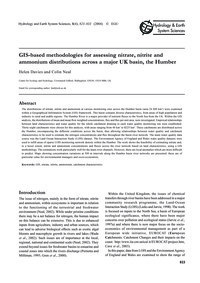 Based on these results, we conclude that snow gliding is a key process impacting soil erosion pattern and magnitude in sub-alpine areas with similar topographic and climatic conditions. Ackroyd, P.: Erosion by snow avalanche and implications for geomorphic stability, Torlesse Range, New-Zealand, Arct. Alp. 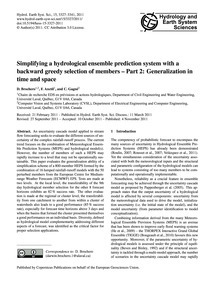 Res., 19, 65–70, doi:10.2307/1551001, 1987.; Alewell, C., Meusburger, K., Juretzko, G., Mabit, L., and Ketterer, M.: Suitability of 239+240Pu as a tracer for soil erosion in alpine grasslands, Chemosphere, in preparation, 2013.; Bell, I., Gardner, J., and Descally, F.: An estimate of snow avalanche debris transport, Kaghan Valley, Himalaya, Pakistan, Arct. Alp. 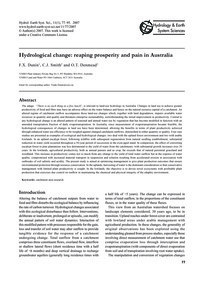 Res., 22, 317–321, doi:10.2307/1551594, 1990.; Beniston, M.: Mountain weather and climate: a general overview and a focus on climatic change in the Alps, Hydrobiologica, 562, 3–16, 2006.; Benmansour, M., Mabit, L., Nouira, A., Moussadek, R., Bouksirate, H., Duchemin, M., and Benkdad, A.: Assessment of soil erosion and deposition rates in a Moroccan agricultural field using fallout 137Cs and 210Pbex, Journal of Environmental Radioactivity, 115, 97–106, doi:10.1016/j.jenvrad.2012.07.013, 2013.; Ceaglio, E., Meusburger, K., Freppaz, M., Zanini, E., and Alewell, C.: Estimation of soil redistribution rates due to snow cover related processes in a mountainous area (Valle d'Aosta, NW Italy), Hydrol. Earth Syst. 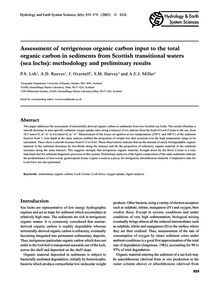 Sci., 16, 517–528, doi:10.5194/hess-16-517-2012, 2012.; Juretzko, G.: Quantifizierung der Bodenerosion mit 137Cs und USLE in einem alpinen Hochtal (Val Piora, CH), Master, Environmental Sciences, Basel, Basel, 1–152, 2010.; Confortola, G., Maggioni, M., Freppaz, M., and Bocchiola, D.: Modelling soil removal from snow avalanches: a case study in the North-Western Italian Alps, Cold Reg. Sci. 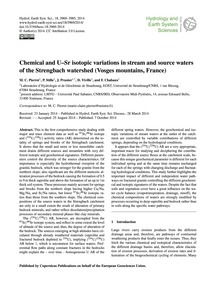 Technol., 70, 43–52, doi:10.1016/j.coldregions.2011.09.008, 2012.; Foster, G. R. and Highfill, R. E.: Effect of terraces on soil loss – USLE P-factor values for terraces, J. 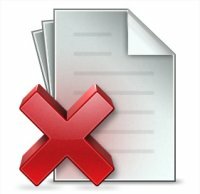 Soil Water Conservat., 38, 48–51, 1983.; Freppaz, M., Godone, D., Filippa, G., Maggioni, M., Lunardi, S., Williams, M. W., and Zanini, E.: Soil erosion caused by snow Avalanches: a case study in the Aosta Valley (NW Italy), Arct. Antarct. Alp. 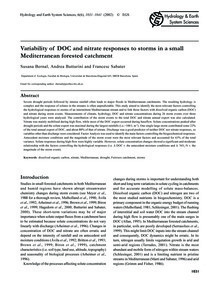 Res., 42, 412–421, doi:10.1657/1938-4246-42.4.412, 2010.; Fuchs, S. and Keiler, M.: Variability of Natural Hazard Risk in the European Alps: Evidence from Damage Potential Exposed to Snow Avalanches, Disaster Mangement Handbook, edited by: Pinkowski, J., Crc Press-Taylor & Francis Group, Boca Raton, 267–279, 2008.; Gardner, J. S.: Observations on erosion by wet snow avalanches, Mount Rae area, Alberta, Canada, Arct. Alp. 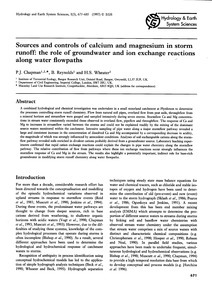 Res., 15, 271–274, doi:10.2307/1550929, 1983.; Haefeli, R.: Schnee, Lawinen, Firn und Gletscher, Ingenieur-Geologie, edited by: Bendel, L., Wien, 1948.; Heckmann, T., Wichmann, V., and Becht, M.: Sediment transport by avalanches in the Bavarian Alps revisited – a perspective on modelling, in: Geomorphology in Environmental Application, edited by: Schmidt, K. H., Becht, M., Brunotte, E., Eitel, B., and Schrott, L., Zeitschrift Fur Geomorphologie Supplement Series, Gebruder Borntraeger, Stuttgart, 11–25, 2005.; Hoeller, P., Fromm, R., and Leitinger, G.: Snow forces on forest plants due to creep and glide, Forest Ecol. 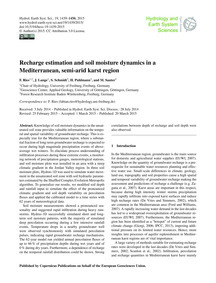 Manag., 257, 546–552, doi:10.1016/j.foreco.2008.09.035, 2009.; In der Gand, H. R. and Zupancic, M.: Snow gliding and avalanches, IAHS-AISH Publ., 69, 230–242, 1966.; Jomelli, V. and Bertran, P.: Wet snow avalanche deposits in the French Alps: Structure and sedimentology, Geogr. Ann. Ser. 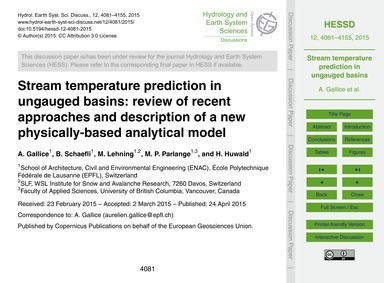 A, 83, 15–28, doi:10.1111/j.